What Mitt Romney truly believes is anybody’s guess. Whether Romney as president would act on those beliefs is also a guess. And we can’t rule out the possibility that he doesn’t have any beliefs outside of religion and investment strategies. Why he’s running for president remains unclear, though commander in chief looks impressive on a nametag. Asked over the weekend whether by killing Obamacare he would let insurers again deny coverage to those with pre-existing conditions, Romney replied that there were parts of the health care reforms he likes, that being one of them. Coverage for pre-existing conditions would stay. Later in the day, his people said, actually, he would not support a federal ban on denial of coverage for pre-existing conditions. Still later, his campaign harkened to an earlier position in which he’d require coverage for pre-existing conditions, but only for those who already had insurance. Hey, anyone who likes having to pay for things, raise your hand. Anyone? Next, you who don’t like writing checks but agree that we should pay for what we buy, raise your hand. That’s better — a respectable showing by responsible citizens. Not in attendance is the Republican base, whose fiscal fantasies Romney courted to win the nomination, and now he’s stuck with these pre-existing positions. 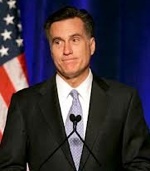 As Romney tries to win over the more realistic general electorate, he finds himself defending past nonsense. It pained me to watch him squirm at a question about his ridiculous vow to reject $10 of spending cuts if it included just $1 of new revenues. Next Story: “Ouch, my back hurts!” IVDD and your Dog. Site contents copyright © 2019 Recorder Online	except as noted. All rights reserved. | 86 queries in 1.132 seconds.